The Franschhoek area is well known for producing exceptional top quality wines. A terroir that is famous for the subtlety yet full flavour that it delivers through each different cultivar. La Petite Ferme prides itself on being a small and intimate boutique style cellar. The winery offers a full range of wines which includes red, white, rosé and Method Cap Classique. 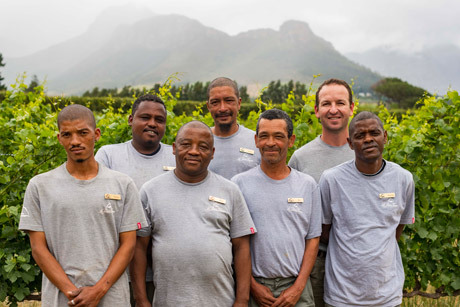 Each wine delivers on the promise of being an exceptional example of what the Franschhoek terroir has to offer. Bringing forward a perfect balance of wine making skill and farm management. Come and take in the atmosphere while experiencing some of the best hand crafted wines the valley has to offer. You can also join us for a cellar tour by appointment. 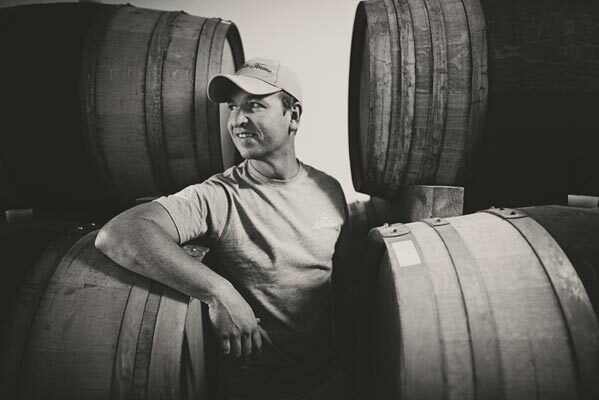 Wikus Pretorius graduated with a degree in Marketing from the University of Stellenbosch but was surrounded by magnificent vineyards and wine estates so he simply diverted his interest to winemaking as a career. In 2002 he began an internship with Muratie Wine Estate starting with his first harvest and thus began his love for wine and the winemaking process. Soon afterwards he travelled the world gaining extensive experience at wine estates in Corsica in France, Sonoma Valley in California, Cape Jaffa Wines in Australia and seasonally retuning to South Africa working at Marklew Wines in Stellenbosch. Wikus decided to settle down and began working at Haskell Vineyards in South Africa where he stayed for 10 years. He joined La Petite Ferme in October 2015. Striving to be innovative in a natural environment is a challenge most winemakers face but its one Wikus takes in his stride. Wine is a natural thing that relies on nature and the climate, so every year he tries to change up his technique because it’s so easy to fall into a regime of doing the same thing year in and year out. Being outdoors and getting his hands dirty in a t-shirt and cap is a huge plus but he also loves presenting wines to the enthusiast. 14 years later, there is no doubt in Wikus’ mind that being on a wine estate among vineyards and lush vegetation is where he is meant to be.